1. 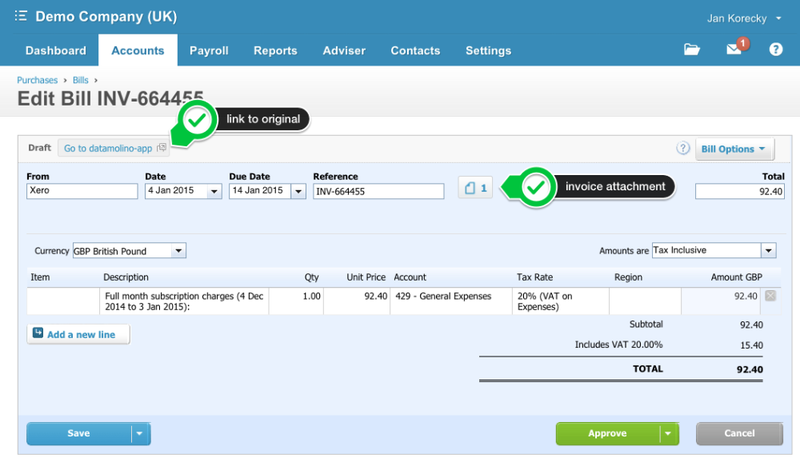 Xero files support - when you export data to Xero, Datamolino send the invoice image to your Xero files and you can also use the new "Xero files side-by-side" feature in Xero. Everything is just easier. 2. Invite a user - it was always possible to invite your colleagues and clients to share Datamolino folders with you. Now it is easier! If you click on the folder menu, just look for the "Invite user" select. 3. Many backend improvement to give you the results that you expect!